Kiev (Ukrainian: Київ – Kyiv, Russian: Киев – Kiev) is the capital and largest city of Ukraine with – officially – over 2.7 million inhabitants (unofficially up to 4 million inhabitants). The city is in north central Ukraine on the Dnieper River (Ukrainian: Днiпро, Russian: Днепр). Boryspil International Airport (IATA: KBP) (Міжнародний аеропорт “Бориспіль”) is located 36km south-east from the city centre. Boryspil Airport has 3 terminals in operation: B, D, and F. Most international flights arrive in the terminals D or F, whereas terminal B is used for domestic flights. Boryspil is used by most of the main carriers. (аеропорт “Жуляни”) is located 8km southwest of the city center. It is mostly served by budget airlines. Wizzair is the major airline operating to this airport. From Zhulyany (IEV) you can use Kiev’s public transport to reach your accommodation or the train station. Kiev’s central railway station Kiev Passazhyrskyi (Київ-Пасажирський) is close to the city centre. Metro station Vokzalna (метро “Вокзальна”) on the M1 line connects to the railway terminal. The terminal building straddles numerous railway tracks, and effectively comprises two separate buildings adjoined by a bridge. The building on the northern side (next to the metro station) is the main station. The building on the southern side is, respectively, the south station with its own ticket office and hotel. Public transport stops on both sides of the railway. Buses and trolleybuses to the city centre depart from the main building, buses to the Boryspil and Zhulyany airports operate from the southern station. Finally, suburban trains may also depart from a small station Pivnichna (Пiвнiчна) located under the square adjoining the main station. This station is separated from the other two buildings and has its own entrance equipped with turnstiles. The International Exhibition Center is located within a 5 minute walk from the Livoberzhna metro station (red line). 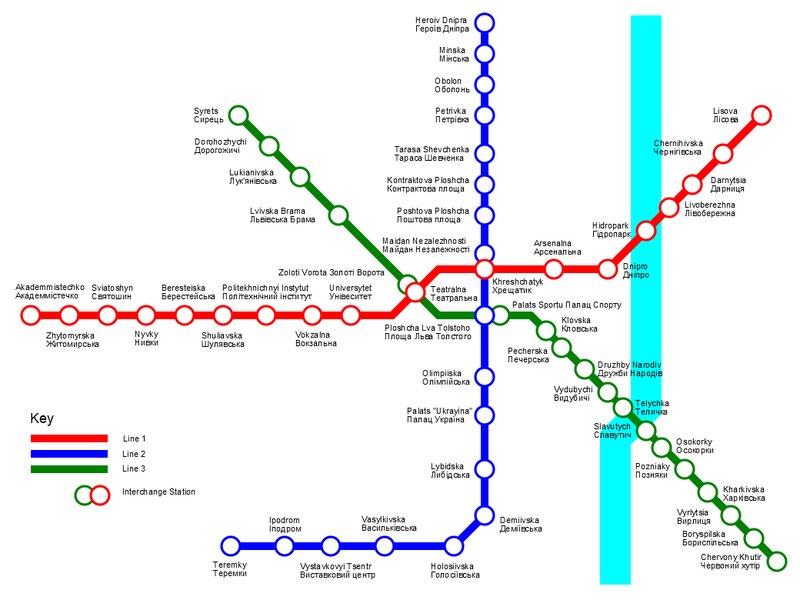 For more information on the Kiev Metro system please click on the underneath link to download the map of the Kiev Metro. Flower Expo Ukraine 2019 takes place in the International Exhibition Centre (IEC), which is the largest exhibition centre in Ukraine.